Hello everyone! 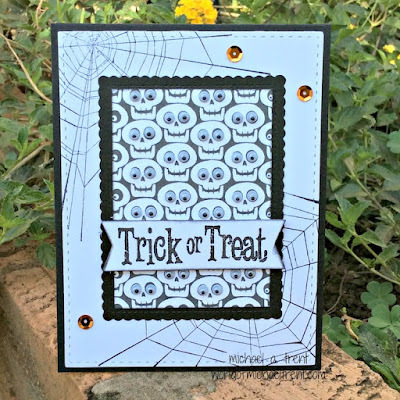 Thank you so much for all the love given to the "googly-eyed skulls" card that I made for the current challenge on the Retro Rubber Challenge Blog. 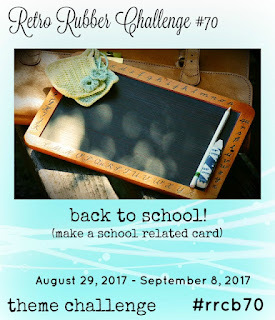 Remember, you have until September 22nd to add your own card to the "Anything Goes" challenge. Today I have a super simple and special card - for a special lady. A friend of mine asked me to make a card for her aunt Maria. Maria loves to garden and is always telling people here "Onde uma flor cresce há esperança. ", which basically translates to "where a flower grows there is hope". When she told me this I immediately thought of this set by Gina K. Designs that has the same sentiment!! 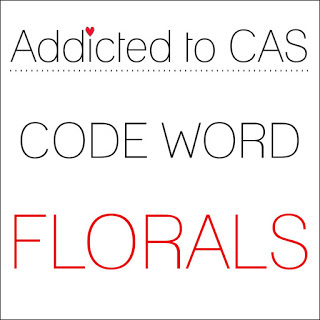 Then I saw that the current challenge over on the Addicted to CAS Challenge Blog is all about "florals". So that's where I am also entering this card. 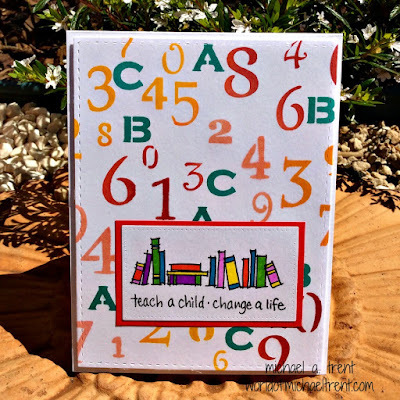 I started by placing a piece of white cardstock into my Misti. Using black ink I stamped the two images from the Hopeful Flowers Duo set by Gina K. Designs. 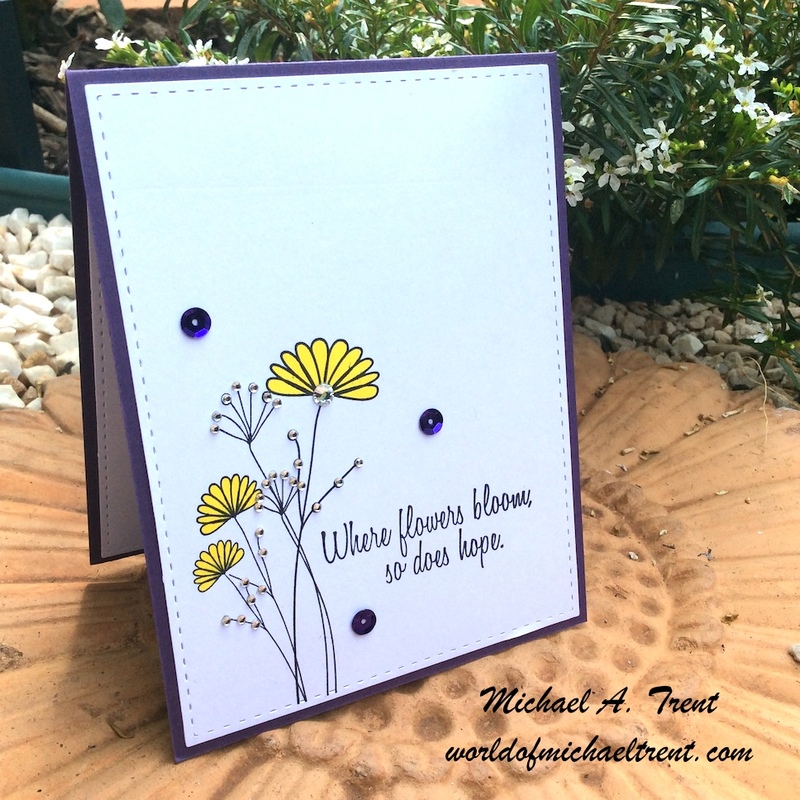 Then I cut (1) the cardstock using the large stitched rectangle die from the Bundle of Stitched Shapes set by Simon Says Stamp, (2) colored the flowers yellow (Maria's favorite color) with a Sharpie marker, and (3) adhered small crystals to the small dots in the image. After this, I made a top folding A2 card base out of purple cardstock to which I adhered the white cardstock with the images. Lastly, I adhered 3 purple sequins to the front and a piece of white cardstock to the inside. Hello all. Well, Mother Nature is certainly pissed off at the world lately. This has kept me up at night since I have friends and relatives in the Houston and Miami areas. But everyone survived with minor damage. I hope all my readers also got through this unscathed. 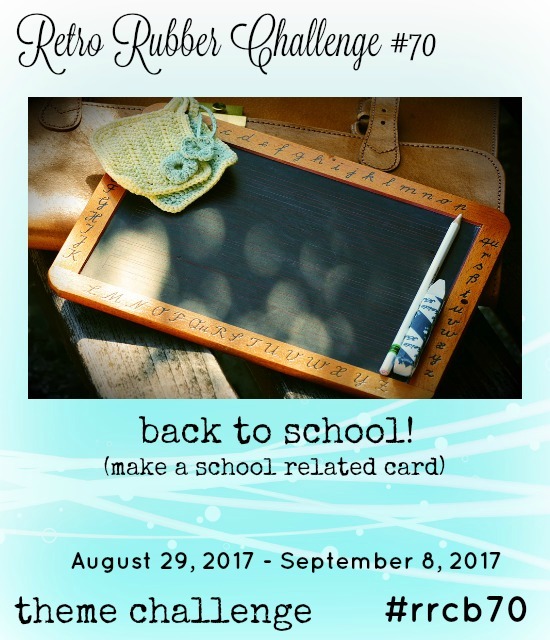 Today I am happy to announce that I am the guest designer with the amazing team over at the Retro Rubber Challenge Blog for their current Challenge No. 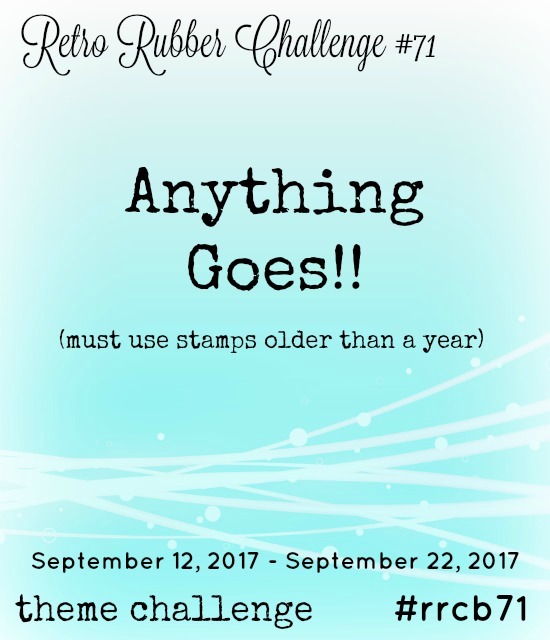 71 - Anything Goes. I had a hard time deciding which theme to go with - Halloween, Christmas, Thanksgiving...but I settled on Halloween. 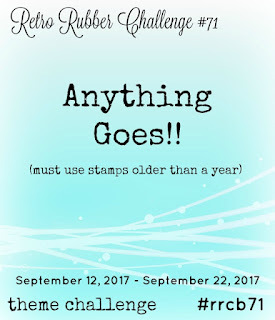 I went through my stash and pulled out a few stamps to use - all over a year old. Probably over 5 years old. But hardly ever used. I started by making a top folding A2 card base out of black cardstock. I then cut 2 pieces of white cardstock using the large stitched rectangle die from the Bundle of Stitched Shapes set (Simon Says Stamp). One of them I adhered to the inside of the card to be written on. With the other I stamped, in black ink, the spider's web from Tim Holtz' Halloween Cutouts in two of the corners and then adhered this to the card front. Next I cut a piece of black cardstock using the 2nd largest die from the Nested Stitched Scallop Rectangle set (Cottage Cutz). I stamped the Skull Stack (retired/Stampendous) onto a piece of white cardstock, which I trimmed to 2.5" x 3.5", so it would fit inside the black cardstock. 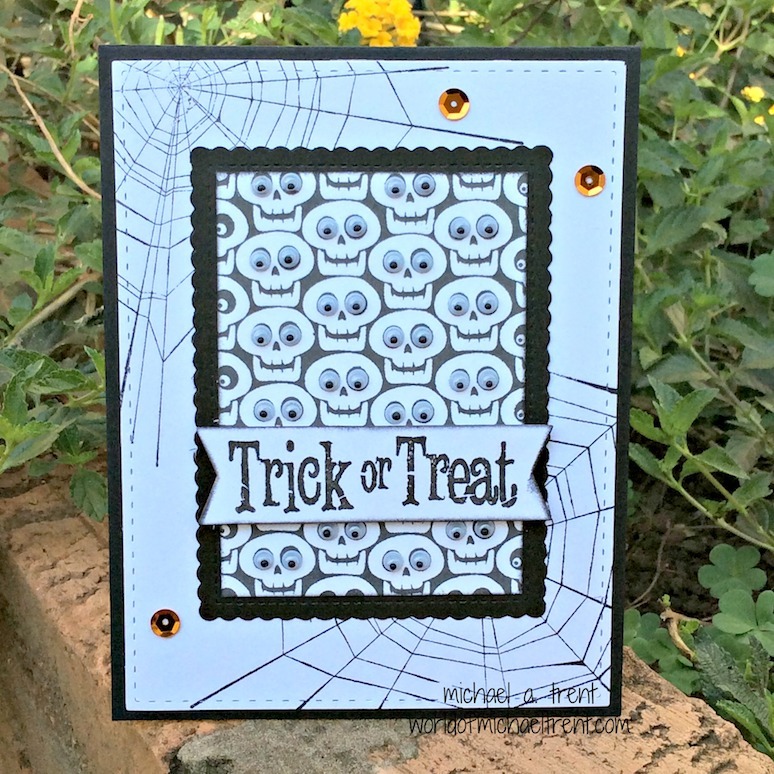 I also die cut a piece of white cardstock using the banner die from Tag Me Confetti Cuts (Reverse Confetti) on which I stamped the phrase "Trick or Treat" from a really really old set from Inkadinkado. Next I adhered the skulls to the black scalloped cardstock, which I then adhered to the center of the card front. I then adhered the banner with the phrase over the skulls with some pop dots. The last thing I did was to adhere googly eyes to each of the skulls and a few metallic orange sequins to make this card even more fun! Hello everyone and Happy Thursday! I hope everyone is well. It's been a crazy week here. Ruy and I had a photo exhibition last weekend at the Belle Epoque Cultural Center here in town, which we did as a benefit for a charity. It was nicely received and was a great feeling to see everyone's reactions to our photos. I will try to get a post done this weekend about the show. Of course afterward, I got sick for a few days, but am finally back up and running. Today is Brasil's Independence Day so everything is closed and I finally found some time to do a new blog post. I started with a piece of white cardstock. 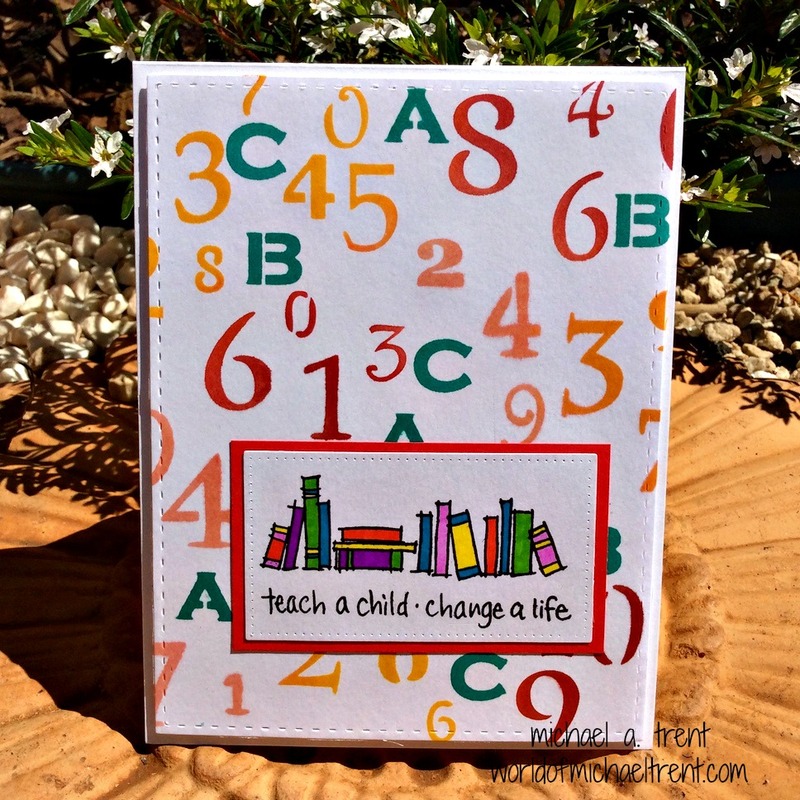 Using some washi tape I taped down the "Numerals" stencil (TCW200S) by The Crafter's Workshop. Next, using a mini blending tool (Ranger) with some inks from Reverse Confetti (Piggy Bank, Salsa, and Bumblebee Yellow), I applied the colors through the stencil. I removed the stencil and heat set the inks (just to be safe). Then I used an alphabet stencil from StencilGirl Products and applied some Aqua ink (Reverse Confetti) to a few of the letters, also using the mini blending tool. Heat set again (just to be safe). I then die cut this using the large stitched rectangle die from the Bundle of Stitched Shapes (Simon Says Stamp). So I inked the row of books and the phrase and stamped it on a piece of white cardstock. I die cut it with a stitched rectangle die I own and colored it in with Sharpie markers. I then adhered it to a piece of red cardstock. Lastly, I adhered this to the card front.